Though it may seem to be a one-joke album built around a rather shaky pun, the album itself is quite a tasty, satisfying listen. The proudly geeky Yeezer wisely draws from various albums in the respective discographies of Kanye West and Weezer. “The only requirement,” says Hodowanec, “was that they sound good together.” And they do, including a “Buddy Holly”/“The New Workout Plan” hybrid that will undoubtedly end up on many people’s actual workout playlists. 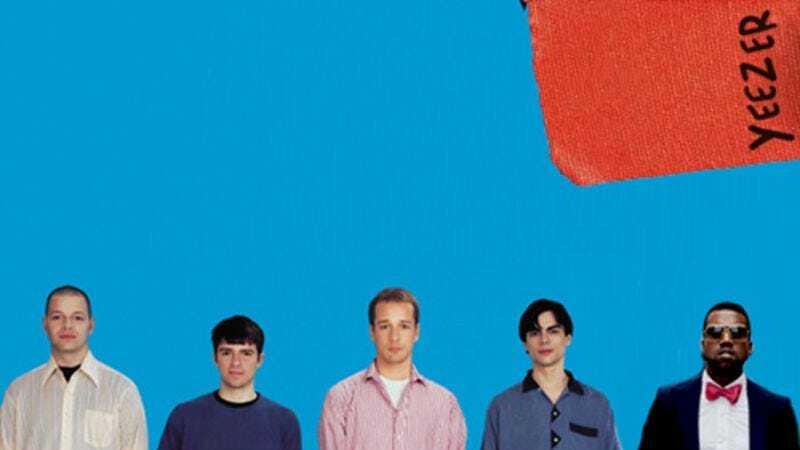 As a thorough, thoughtful review of Yeezer by The Daily Dot’s Aaron Sankin points out, one of the hidden benefits of the mashup album is that it rescues and redeems some forgotten or overlooked tracks from Weezer’s spotty, latter-day albums. Raditude from 2009 got middling-to-lousy reviews pretty much everywhere, for instance, but Hodowanec takes that album’s “The Girl Got Hot” and combines it with “Black Skinhead” from Yeezus to create “The Girl Got BLKKK,” which Sankin deems “instantly iconic.” It’s a classic win-win.